The ship has come in. But where is it taking us? and will it deliver enough to make a real difference? Budget 2014 has arrived. It’s offering a modest surplus for 2014/2015 ($372 million) and promises of more goodies to come next financial year and beyond. Like good ship captains, governments must always look in control. The budget portrays a nautical picture of steady as she goes that includes some of the initiative NZCCSS members and other social justice advocates have been talking about for some time [free GP visits and prescriptions for children under 13 years as well as increases to NGO budgeting services and sexual violence services]. But let’s not get carried away as the Hon Tariana Turia said when asked about the Inequality MinisterialCommittee on Poverty, while the list of initiatives is long, as far as the level of investment goes “some would say it is not enough." Money matters as much as the spread of policy initiatives, and if we look closely some of the spend is spread over several years, over a large number of organisations and reflect simply adjustments for inflation rather than new spend. In effect this means inadequate levels of funding to address New Zealand’s growing social deficit. 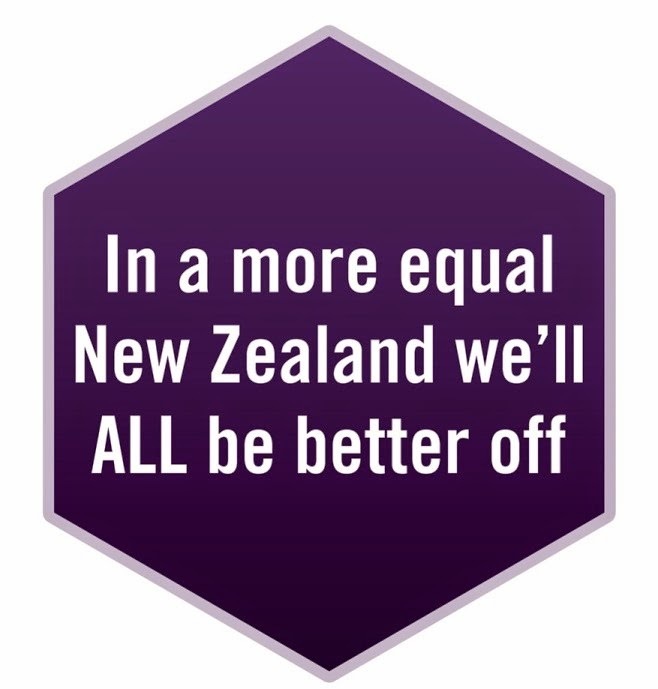 At best it provides some ‘band aid’ but fails to effectively resolve entrenched structural issues that lie at the heart of many of New Zealand social problems. Where is the vision and strategy to address these issues? Budgets are more than just an accountancy tool; they also represent the values and priorities of its citizens. Inequality and low wages are growing concerns to the New Zealand public and yet the budget is silent on spend to address these issues. As Trevor McGlinchey says “While Budget 2014 offers some positives, it doesn’t provide the circuit breaker so many of our families and their children so urgently need”. See opinion piece in Dominion Post 16th May 2014. New Money at a Glance…………. $1 billion of new public Money to spend. and the bits and pieces ………. · Nits - Nearly 1 million to KidsCan to provide treatments to tackle nits. Treatment will be extended to 117 low decile schools nationwide. Hon Bill English, Minister of Finance Pre-Budget Speech to the Wellington Employers’ Chamber of Commerce. The New Zealand Council of Trade Unions Te Kauae Kaimahi - Budgets are about more than debt and surpluses CTU. CPAG Budget Analysis Hot of the Press ! The dynamics of high levels of inequality and poverty anchored into our social and economic system will not change as a result of this budget. The hundreds of thousands of people and their families that rely on welfare benefits come away empty-handed. With unemployment set to remain over 5%, there will continue to be a huge proportion of our people living in poverty. Promises of future tax cuts offer little relief for those who rely on income support that is funded through tax income. The 2010 tax cuts that cost $1.1billion per year benefited the highest income earners the most and future tax cuts would have to be very strongly targeted to those on the lowest incomes to do anything to address this. The lack of investment in raising the supply of low cost housing for people on low incomes means that even the limited relief that income-related rents contribute to reducing inequality and poverty is not going to grow in any significant way. Children and families have been allocated what seems like significant funding with a $500 million package that spans paid parental leave, parental tax credit, free GP and prescription, early childhood centres and the establishment of eight new children’s teams to identify and work with at risk children. This package of initiatives will have some positive impacts on the symptoms of poverty but where is the long-term strategy and resources to address the key underlying causes of poor child health : poor quality and affordable housing and insufficient household income to meet basic necessities to keep families healthy. $20 million over 4 years to reduce rheumatic fever: expand Free drop-in sore-throat clinics will be expanded a further 90,000 children and young people who are at risk of getting rheumatic fever. There are 285,000 children at risk of this preventable disease caused by poverty, poor access to health care and household overcrowding. It is unclear whether $20 million over 4 year is sufficient to effectively address this third work disease. Significantly more investment and a long-term plan is needed to increase household incomes of our most vulnerable families, along with access to low cost and good quality housing. $6.3 million over four years for bilateral cochlear implants programme for children - children with profound hearing loss will now receive two funded cochlear implants, and children under six with only one implant will be offered the opportunity to have a second funded implant. The budget makes no attempt to raise the level of benefits to address significant hardship issues faced by individuals and families receiving benefits. There is a sprinklings of spend to support people on benefits into work but without a strategy to create job opportunities, the positive impacts of this money will likely be limited. 8,000 more employment and work-readiness places targeted to beneficiaries at risk of long-term welfare dependency. Trialling new approaches for beneficiaries with complex needs. $8.6 million to Youth One-Stop Shops providing support to young people. $5.6 million over the next four years to help newly-arrived refugees during their first 12 months in New Zealand. $22 million in non-government organisations providing budgeting services. NGO budgeting services: - $22 million funding is allocated to the NGO budgeting services over the next four years to deliver community budgeting services to families. Again the amount of investment is welcomed but too small to effectively impact on budgeting services who have seen increasing demand for their services, and does not address inadequate household income that individuals and families depend reflecting both low wages and low benefit levels. There is also an assumption here that people wouldn’t be poor if they managed their income properly – Oh if it was that simple! Overall health funding continues to be given the “austerity lite” treatment. Although funding increases have been given over recent years and these continue, those increases fall nearly $100million short of what would be needed simply to maintain current service levels. One effect of this is a continuing squeeze on funding for support services that older people receive. Home support: Health Minister Tony Ryall announced “extra funding” for “cost pressures and new initiatives” that includes $96 million over four years ($24 million per year or about 10% of home support expenditure). This is additional funding above that received by DHBs for their general operational funding (0.61% increase). At this stage no further details have been announced and there is work to be done on how this additional funding will be applied to the numerous issues facing home support services. However, the Budget Fiscal and Economic Update (p.73) reports an unquantified risk relating to “caregiver employment conditions” including reference to the several cases and funding claims in the disability support and aged care sectors around the Minimum Wage Act and Equal Pay Act. Rest Homes and Dementia: A further $40 million over 4 years ($10 million per year) for “support for elderly people including people with dementia” has been announced but with the comment more details to come “later”. This is also over and above the DHB cost pressure adjustments (0.61%), so it can assumed that some of it will be applied to top up the DHB cost pressure adjustment to meet the 1% funding increase is being offered to residential aged care providers. This appears to leave some room for some investment in additional dementia services or other initiatives. The Social Housing Fund has been given a small injection of funding, with $30 million over 3 years or $10 million per year. This is a welcome investment but $10 million is a drop in the ocean of need, given that the community housing sector has already identified at least $80 million worth of community housing project proposals that would be ready to go now or very soon. Rural and Māori housing is receiving an extra $4 million per year to build in remote and rural areas as well as the Chatham Islands. It is additional funding to other community housing initiatives and will allow iwi organisations to build capacity and fund housing improvements and repairs as well. Incentive to work on the Canterbury rebuild - $3 million encourage to assist beneficiaries to take part in the Canterbury rebuild. Canterbury Support Services - $13.5 million over the next four years for Earthquake Coordination Service, including counselling services and the Canterbury 0800 support phone line, support NGOs in implementing ‘Community in Mind’ Strategy. In addition, $2.3 million over next two years to provide continued case management support for Cantabrians to help them manage the challenges associated with temporary accommodation as a result of the rebuilding.